i finally separated the styrofoam from the dishwasher box and made it livable. 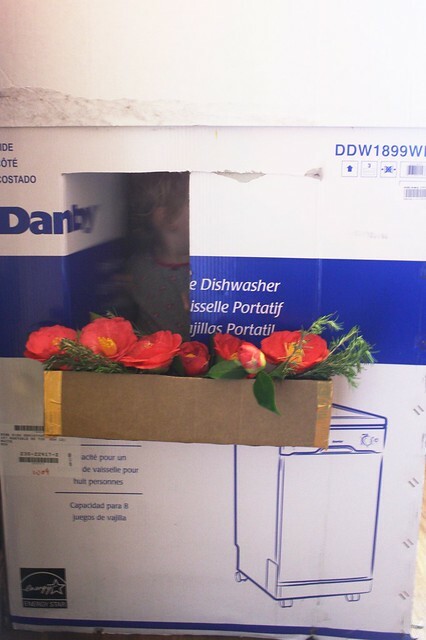 first i just cut a door....then a roof was added....then a window, and finally, the flower-box. i taped it on so, naturally, it has since fallen off. but whoa was it cute!